IF Cian Dillon is named at full-back for Sunday’s All-Ireland final, it will represent the first time that the NUIG graduate will have started a game for Clare. The 21-year-old Crusheen man could conceivably pick up an All-Ireland medal after just an hour’s competitive hurling. While he was on the county U-21 panel two years ago, when Clare lost to Cork in Thurles, he didn’t start. He didn’t make the 2006 minor panel, while 12 months ago Dillon was in the US and missed Clare’s infamous U-21 Munster final loss to Tipperary. This year was looking better for Cian Dillon. He was going well and had seemingly nailed down the number three jersey, as the Limerick game on July 15 approached. 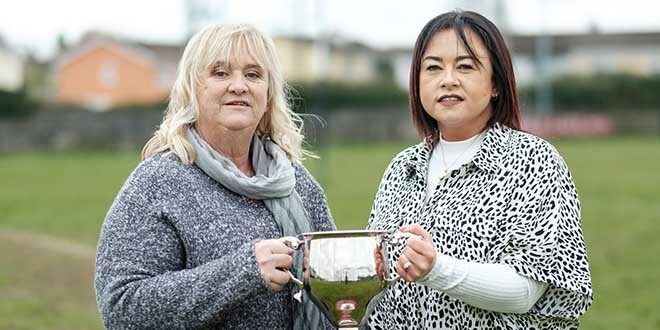 A week before, Dillon togged out for Crusheen for a Clare Cup game against Clooney-Quin. His hurling year soon capsized. “I caught a ball and I got challenged in the air. I came down on it awkwardly and I could feel it straight away,” he said of the subsequent metatarsal injury in his right foot. 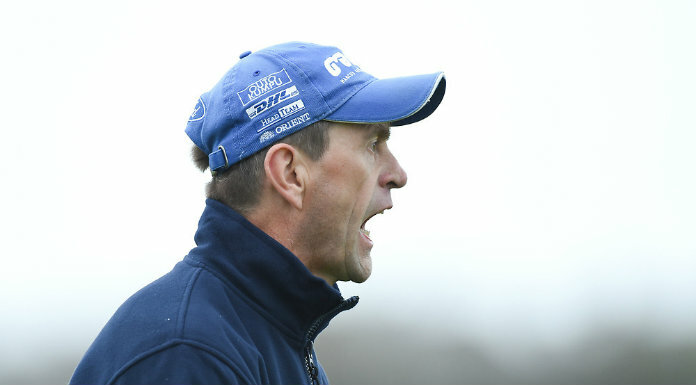 Dillon missed the win over Limerick and the historic defeat of Waterford in Dungarvan. He whiled away the hours in the gym in Crusheen, alongside Gerry O’Grady, who was also trying to regain fitness. “Down in Dungarvan I did a fitness test on the field just before it, just to see would I be any way ok but I wasn’t. I did about 10 minutes running but the pain was too much and I started going sideways,” he recalled. “But it was great watching it too because I always believed we’d win it and that we’d get to the All-Ireland series. We ended up doing exactly that and I aimed to get back for the Galway game. I always had that in the back of my mind,” said Dillon, whose five brothers have hurled for Crusheen. With Clare struggling to curtail Joe Canning in the All-Ireland semi-final in Thurles, Dillon was summoned from the bench. He hadn’t time to think as he headed infield. “On the Saturday morning, I was making sure the leg was ok, so thinking about the game was secondary. I was thinking about the leg first. Once I knew I was coming on, surprisingly enough I was fairly relaxed. I just wanted to do the business then and help them out some way,” he said. “It was just up and down the field. After the game we were all so drained. Mentally and physically you were just shattered. For 80 minutes, you’re going and going. It was just unbelievable to get through it then,” Dillon reflected. Playing any role against Galway looked unlikely until the day before the game. “I was only back training the Monday before the game. We played a match and I was nowhere near right that day and then I was going up to Lahinch in the salt water and running around there. It came good on Friday evening and I kind of knew then I might get my chance,” he explained. Winning has helped players to develop leadership skills and steadfast belief in themselves. It’s an element that Cian Dillon believes has been instrumental in steering them into an All-Ireland final. “Definitely yeah, we have leaders all over the field. And lads with a bit of class as well. They can step up any time we need a score. We seem to have a lad up there that can do it. We’ve great character all over the field and we never panic either,” he maintained. Limerick, Waterford and Galway have been dispatched. Now for the young Cats. “Kilkenny are the ones you measure yourself against. If you can handle yourself against Kilkenny, you know you’re a decent hurler. The next day is going to be a fierce battle again but we know we’re good enough to come out with a win. We definitely think we can beat them. They have a great team but listen, so do we and I think we’ve shown it,” Dillon said adamantly. With four Crusheen men on the panel, Dillon says that playing for Clare is all the more enjoyable for it. If the Crusheen men play well in Croke Park, there might be a can of coke in it for them. When he was coaching at underage in the club, Michael O’Connor often offered a can of coke if they executed a skill properly or won a game. “He owes us all in Crusheen about 40 cans of coke. Every time you’d have a ball in your hand, he’d say, ‘put that ball over the bar, I’ll get you a can of coke’,” Dillon laughed, perhaps hoping that O’Connor will have to buy at least four cans on Sunday evening.